A young person's take on the automotive industry and community. Have you ever wondered if you were born in the wrong era? I have—in fact, I’m pretty sure I might have been. See, behind the long blond hair is a 23-year-old with entire albums of Journey memorized. A millennial that thinks the cardinal sin of the modern automotive industry, is the introduction of the touch screen to a car’s interior. And the subsequent deletion of the left-most pedal. Let’s just say that I, and my ‘72 Datsun 510 wagon, don’t really fit in with a lot of the other 20-somethings. So let that set the stage for the fangirling that you’re about to witness. Because at this year’s Mitty, I got to be right next to the most important Datsun on the face of the planet. And no one got in the way of my photos. Something that struck me, seeing this car up close in person, was it’s imperfection. I mean, this was the car that sent Alfa, BMW, and Porsche packing. The car that changed the fate of Japanese imports in the US forever. And the numbers were brushed on. Not sprayed paint. Not vinyl. Brushed, by hand. There was an undeniable authenticity to the car. Yes, it sat in the same state in which it was pulled off the track in 1972. But it went beyond preservation. 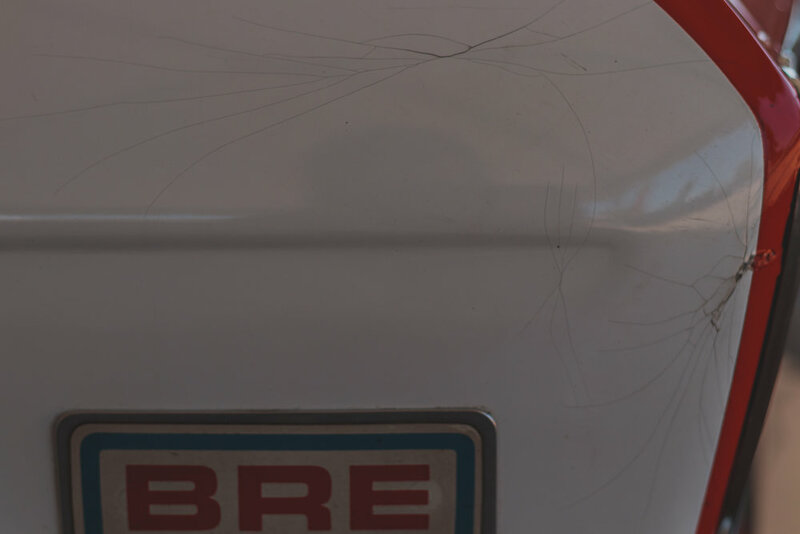 The original builders of the car, Brock Racing Enterprise—BRE as more of you probably know it—left their mark on the car. It was a simple idea: function before form. The cage was minimalist, unobtrusive, and completely unsafe by today’s standards. The seat was a simple bucket wrapped in vinyl—leather would be far too posh—accompanied by what might as well be a discus wrapped in plastic for a headrest. The simple, three panel plastic dashboard was replaced with an angular crinkle black dash plate. From it, switches protruded and gave clear “on/off'“ information to the driver. Above them, plain gauges provided information on oil temperature, pressure, and other diagnostics for the driver to ignore. A pair of idiot lights, which would give Morton the signal to shift. Without electronic controls to limit the damage from surpassing red line, these were a necessity for driving at the limit and then making it back to the pits at the end of the race. I noted the lack of speedometer. Instead, a mechanical tachometer was position front and center. This provided Morton with more important information about engine speed, rather than redundant information about velocity. Fun fact: the mechanical tachometers worked very different than the tachs in more modern vehicles. 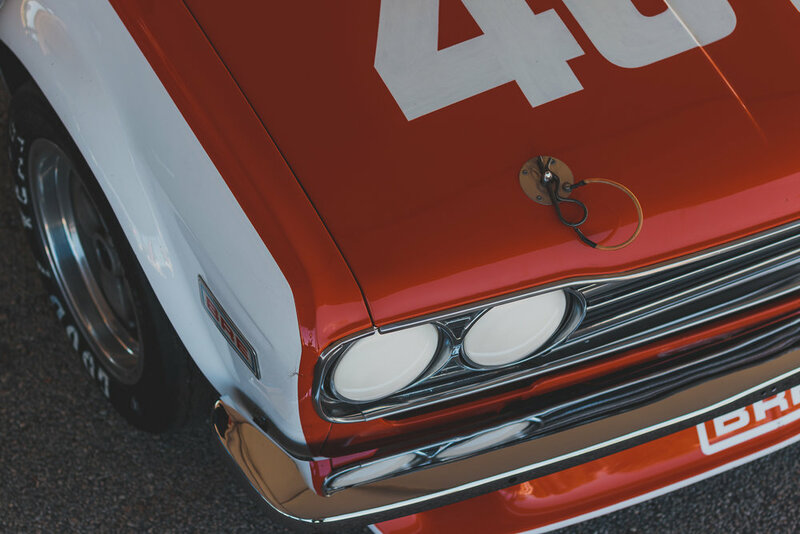 Rather than intercepting and reporting the electrical pulses going from a coil to a distributor (as the OEM 510 tachometers did) the mechanical gauges were driven off the back of the camshaft, measuring rotations of the mechanical components themselves. You probably noticed that I mentioned someone named Morton earlier. And there’s the name again in the photo above: John Morton. This is not a coincidence. John Morton became a driver for BRE in the 1960s, beginning with the Datsun Fairlady race cars of sports car class racing (Datsun Roadsters as they’re commonly referred to now). While I’m only going to get into a very small portion of John Morton’s historic career, you can read about the journey in a book by his long time partner and author, Sylvia Wilkenson: The Stainless Steel Carrot. Morton would go on to become one of the most storied Datsun ahem Nissan motorsports drivers in America. In the early 1970, Pete Brock — the BRE mastermind and penman of racing icons like the Shelby Daytona — decided that it was time to step into a different racing series: Small Bore Trans Am. As I wrote above, the Datsun 510 was in tough company. But the team pulled out an incredible win in their first 2.5 Trans Am* showing, winning the championship after entering the season after the initial races. After the final race, however, John Morton and BRE weren’t awarded the championship trophy. *Sorry for flip-flopping the names. The series’ class was limited to stock cars under 2.5 liters of engine capacity. An Alfa had technically finished the race first — but a bewildered BRE team challenged the Italian championship defender and it was found that an additional three gallons had been added to the capacity of the fuel tank. If you’re up for a long night (or morning, or afternoon, or whenever it is you read random automotive blogs) this is an excellent documentary on the BRE team’s journey during their first Trans Am championship. While that might not seem like much, the race was determined because the Alfa was just barely able to eek over the finish line with one less pit stop for fuel. All due to an over-regulation fuel tank. Suffice to say, the points were rectified a day later and Morton was awarded a bittersweet championship after the season had concluded. The rest, is history.